Congrats to Robert T. of North Charleston, South Carolina who just won a $25.00 Restaurant.com gift code for writing a review for Pepwave MAX BR1 Mini with Cat 6 LTE Advanced Modem at 3Gstore.com! Every week we randomly pick one product review from the previous week and award the writer a $25.00 gift code. We appreciate ALL the reviews our customers write, whether they are positive or negative - honest reviews like Robert T.\'s help other customers decide if the product is right for them. After you purchase a product from 3Gstore.com, we encourage you to log in and 3Gstore.com and leave a review letting people know how the product worked for you - you'll be helping others, and you'll automatically be entered to win a restaurant.com gift code!. Great product. Excellent buying experience, quick ship and delivery. 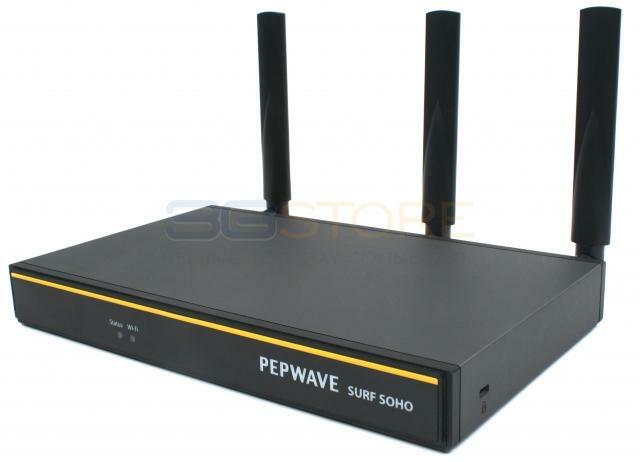 Congrats to Ferenc H. of Castle Rock, Colorado who just won a $25.00 Restaurant.com gift code for writing a review for Pepwave Surf SOHO MK3 Router with 802.11ac WiFi Hardware Revision 3 at 3Gstore.com! Every week we randomly pick one product review from the previous week and award the writer a $25.00 gift code. We appreciate ALL the reviews our customers write, whether they are positive or negative - honest reviews like Ferenc H.\'s help other customers decide if the product is right for them. After you purchase a product from 3Gstore.com, we encourage you to log in and 3Gstore.com and leave a review letting people know how the product worked for you - you'll be helping others, and you'll automatically be entered to win a restaurant.com gift code!. I'm new to this router, but initial setup was painless. My ISP is Comcast. No trouble to get Pepwave up on their network. No assistance was needed either by Peplink or Comcast. There's plenty of documentation available. Setting up email notification was a bit tricky, but that's because of my security setup with Google ( gmail ). I was able to resolve the issue within a day. I'm also running the latest firmware. There's quite a bit to absorb with this capable router, but there's also lots of helpful documentation. 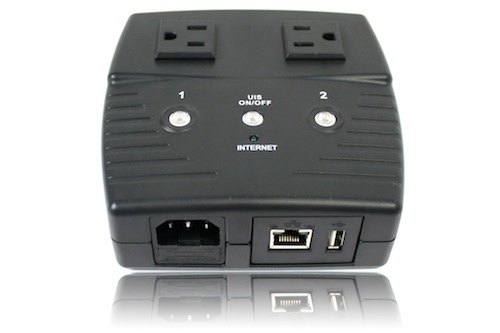 Congrats to Sharleen P. of WEST SACRAMENTO, California who just won a $25.00 Restaurant.com gift code for writing a review for 3Gstore Remote Power Switch - 2 Outlets - Remote Automation and Remote Rebooting (Routers, WebCams, Servers, etc) at 3Gstore.com! Every week we randomly pick one product review from the previous week and award the writer a $25.00 gift code. We appreciate ALL the reviews our customers write, whether they are positive or negative - honest reviews like Sharleen P.\'s help other customers decide if the product is right for them. After you purchase a product from 3Gstore.com, we encourage you to log in and 3Gstore.com and leave a review letting people know how the product worked for you - you'll be helping others, and you'll automatically be entered to win a restaurant.com gift code!. I needed the remote feature since I am not always available. Congrats to William D. of New York, New York who just won a $25.00 Restaurant.com gift code for writing a review for Pepwave Surf SOHO MK3 Router with 802.11ac WiFi Hardware Revision 3 at 3Gstore.com! Every week we randomly pick one product review from the previous week and award the writer a $25.00 gift code. We appreciate ALL the reviews our customers write, whether they are positive or negative - honest reviews like William D.\'s help other customers decide if the product is right for them. After you purchase a product from 3Gstore.com, we encourage you to log in and 3Gstore.com and leave a review letting people know how the product worked for you - you'll be helping others, and you'll automatically be entered to win a restaurant.com gift code!. Very nice router - I like Peplink's right-on-it approach to firmware updates & security. Also love the fact that the Surf SOHO has internal antennas and adjustable power output. After experimenting in our office I found that by not using the external antennas and putting power at a low setting I could tailor our coverage so that it covers the entire office, yet is almost invisible outside. We are in a crowded office park and I pick up a number of other companies' networks, but ours is virtually invisible. This is helped, no doubt, by the fact that we are in a metal building; but it's comforting to know that 10 feet outside our office walls our signal is undetectable. In everyday use the router has been exceptionally reliable, never needing an unscheduled reboot (though I do a manual reboot once a month as a maintenance measure). The setup was a little confusing at first, but documentation is pretty good; after some minor head-scratching, I got it set up and running securely. Very happy with this router; plan to replace my home router with one of these soon, too. Nice job, Peplink! 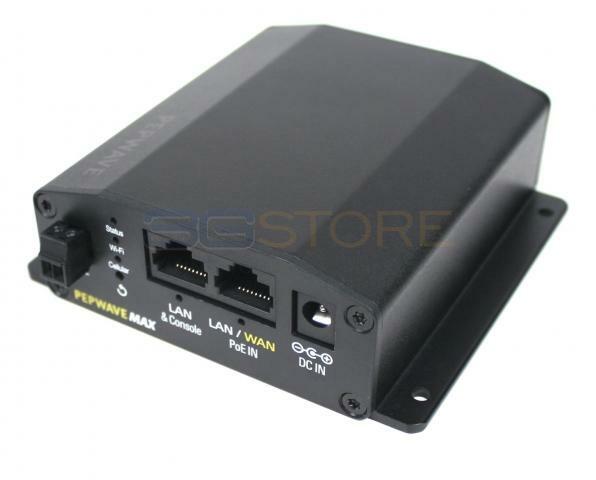 Congrats to Peter B. of New York, New York who just won a $25.00 Restaurant.com gift code for writing a review for Pepwave MAX BR1 Mini with North America 3G/4G/LTE Modem at 3Gstore.com! Every week we randomly pick one product review from the previous week and award the writer a $25.00 gift code. We appreciate ALL the reviews our customers write, whether they are positive or negative - honest reviews like Peter B.\'s help other customers decide if the product is right for them. After you purchase a product from 3Gstore.com, we encourage you to log in and 3Gstore.com and leave a review letting people know how the product worked for you - you'll be helping others, and you'll automatically be entered to win a restaurant.com gift code!.